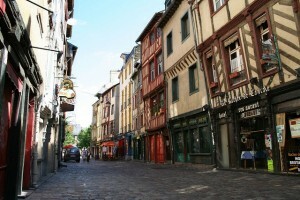 If you are looking to buy a holiday home in France, you will be aware that the most popular area of choice is in the famous Brittany region – with its scenic views and popular tourist destinations, there is a wide choice of holiday homes, allowing you to escape the hustle and bustle of urban hotels and apartments. The capital of Brittany is Rennes, and the other main cities around this region include Nantes,Brest, L’Orient, Quimper and Vannes. The region is divided into four parts: Cotes d’Armor,Finistere, Morbihan and Ille et Vilaine. It is then divided further into 15 Arrondisements, 201 Cantons and 1270 Communes. of beaches and countryside, it is not surprising that this is the most popular area of Brittany for Britons buying their second home. Properties near the sea are understandably the most popular, with many affordable luxury houses available with the extras of pools and out-houses. In the area of Moelan-sur-Mer, with its landscaped gardens and heated pools, there are many choices for family homes. Interiors are often decorated with terracotta floors, beamed ceilings and traditional Breton furniture. Many of the rentals are equipped with all the necessary requirements of a kitchen including fridge / freezers and the added benefits of satellite, TV, DVD and CD players. Pools are usually shared with two other properties but benefit from a retractable roof, meaning it is usable whatever the weather. The sea in this area is normally in walking distance via a selection of pretty coastal paths. As with buying other property in France, there is a protocol to follow. The rule of thumb is usually: Property price plus commission, Notaires Fee and VAT. It is very important when you look at the price of property to take into account any other commission that is added on top of the price of advertised Brittany property.